The MiniMax is ideal for children to pull alongside them on their travels and features adjustable front straps, so they can carry along their own cuddly toy. 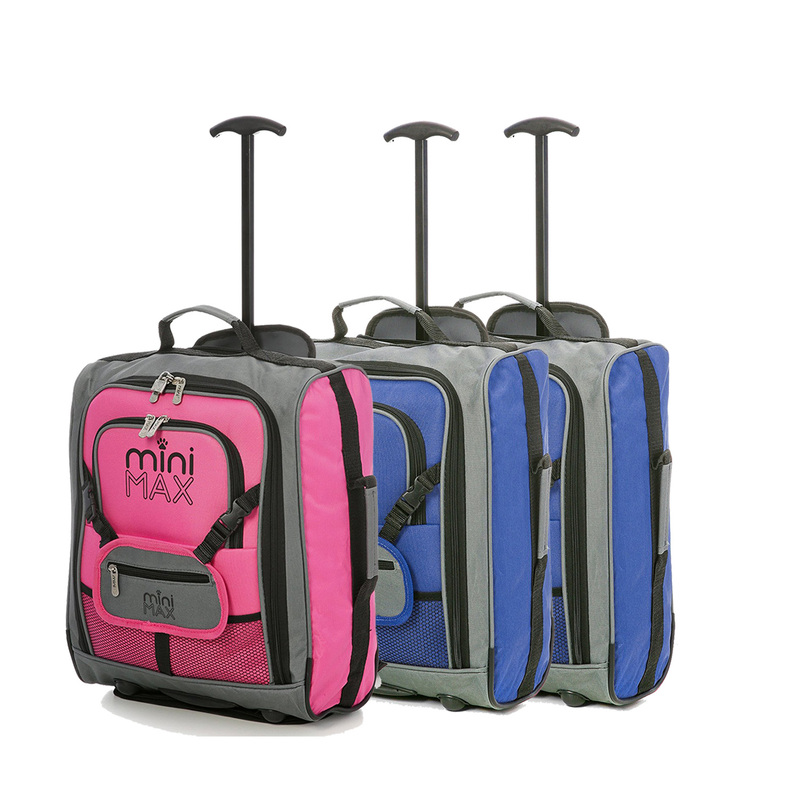 The MiniMax also features adjustable backpack straps, which allows the bag to be carried. These straps are concealed in a zipped rear pocket when they are not in use. 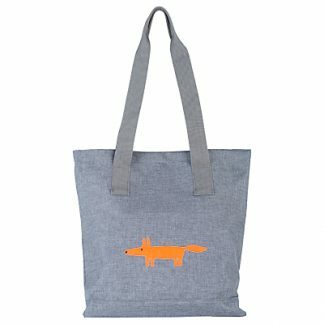 This back pocket is able to fold over the wheels and can be attached to velcro at the bottom of the bag to prevent dirt from the wheels transferring onto clothes when carried. 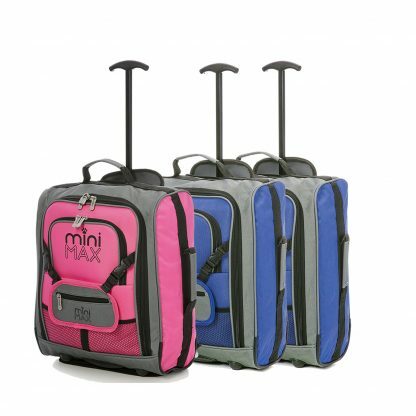 The two font facing pockets allow children to easily store items and the compact design of the MiniMax means it will fit most airline cabin restrictions. The MiniMax is robust and sturdy cabin luggage designed for children, coming with a 2 year warranty for extra protection.